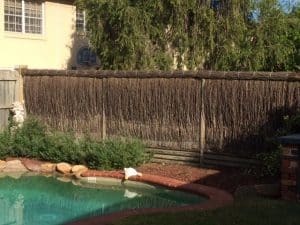 This brushwood fencing job in St. Ives was to extend and renew an existing brushwood fence around a residential pool to make it a pool compliant fence. 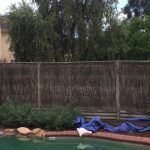 Brushwood fences are an ideal fence for residential properties, especially around pools, as they can easily be updated and maintained to meet the standards required for pool safety. 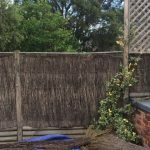 For this job we added new brush to the existing fence, extending the height slightly and then finished off the top nicely, giving it a nice neat look, while also making it difficult to climb. North Shore Brush Fencing undertakes a range of Brushwood Fence Repairs. 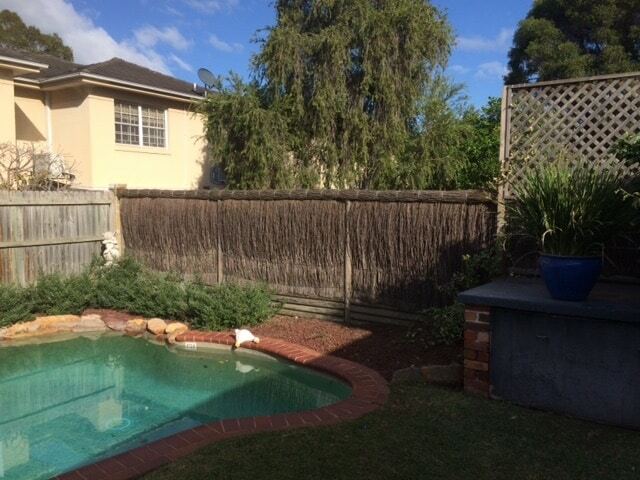 Contact us on 0410 695 956 to find out how we can help with your fencing.